Guess what’s in the basket? LIVE THEATRE! 1 Ticket to each remaining show at Strauss for the current season. Give the gift of LIVE THEATRE this season. 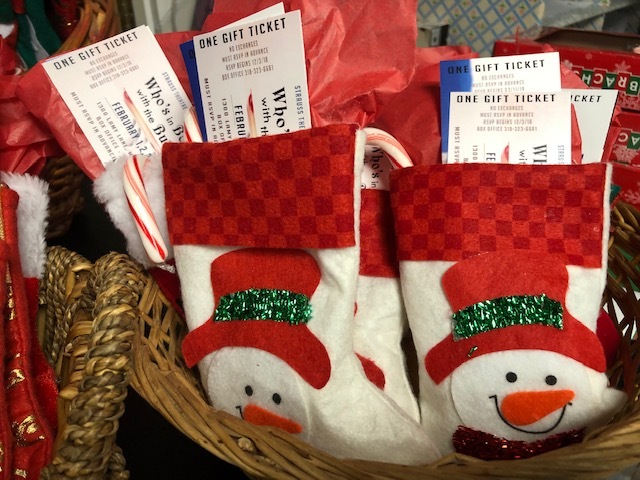 1 Gift Ticket to Who’s in Bed with the Butler & 1 Ticket to Mamma Mia! Two great shows for only $50 for a limited time. Call our Box Office for more information – 318-323-6681.